Joe Kinder on Power Tube (5.14b) at the Cave, Riggins, Idaho. Mike Bockino was sleeping in his car at the Riggins camping area when the Sasquatch ripped open the door. Sightings of the mythic man-beast are common in this neck of the woods. Bockino screamed for his life until he realized he wasn’t being eaten or mauled … just dry-humped. The Sasquatch was actually Brian “Ray” Raymon, a climber from Spokane, saying hi. Riggins is a theater of eccentric and colorful personalities, and a backwater Northwestern sport-climbing destination known for its rather controversial routes. Three and a half hours north of Boise, Idaho, and hidden within the sub-alpine forests of the Seven Devil Mountains, the Riggins crag is eight miles from the sleepy river town of the same name. Perhaps its remote location allowed Riggins to quietly become one of the more heavily manufactured areas in America. Riggins rock, a type of limestone called accreted terrane, is fine, pale and steep. There are over 100 routes, ranging from 5.8 to 5.14, on two walls: the overhanging Amphitheater (aka the Cave) and the more moderate Projects Wall just up the road. The rock here once comprised a reef out in the Pacific Ocean, which eventually moved along the Pacific Plate and collided with North America. 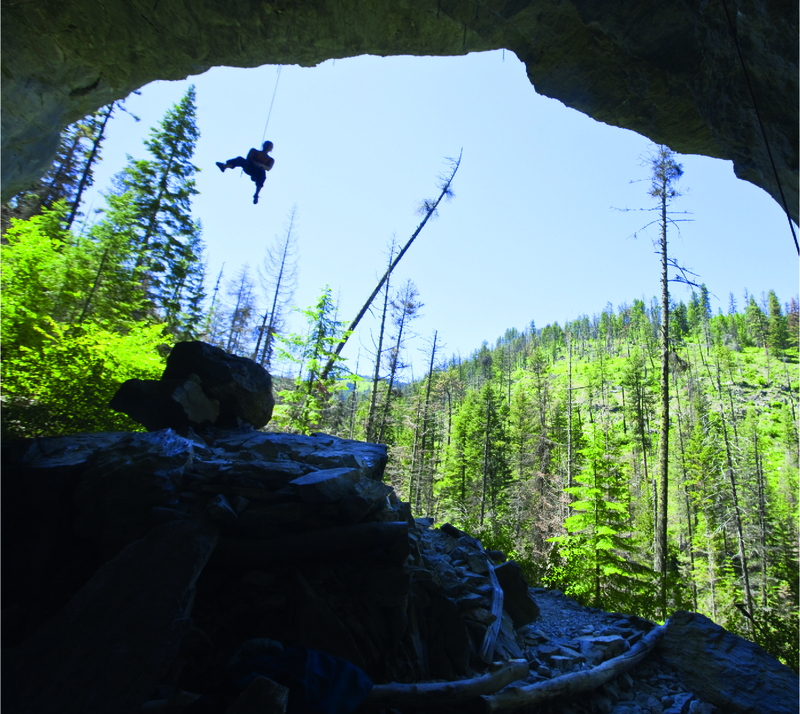 Now situated at 5,000 feet, the area is the go-to sport crag for southern Idaho in the summer. In the early 1990s, frustrated with the 100+ degree seasonal temps in Boise, a motivated group of climbers, led by local Jeff Landers, scoured the city’s surrounding hills, hoping to find something steep and shady. Bushwhacking up a drainage in the spring of 1991 Landers came upon this overhanging amphitheater of virgin stone. Development continued all year, with Landers, Mark Edmundson, Tedd Thompson and Matt Fritz contributing most. Now, 20 years later, the locals have installed some 30 routes in the Cave, and 70 more at the upper Projects. From warm-ups like Shiver Me Timbers (5.11a) to testpieces like The Maddening (5.14b)—one of the few natural routes in the cave—there is a quality climb at practically every grade from 5.11 to 5.14. A vast majority of the routes, however, have drilled or manufactured holds of some sort. Joe Kinder lowers Colette McInerney off the anchors on Tractor Girl (5.13a) at the Cave. Landers is of the opinion that the cave would be unclimbable without drilling. 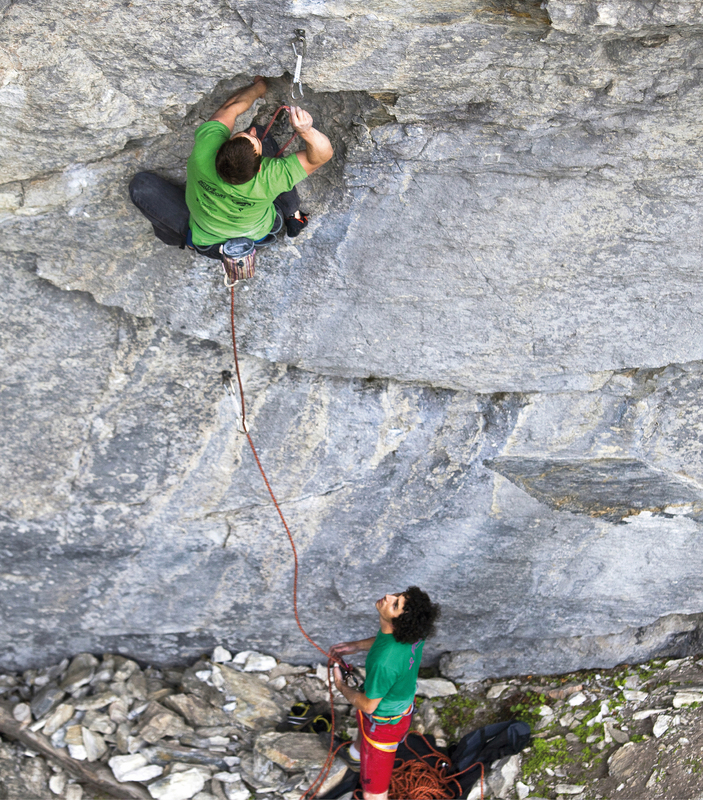 “I won’t condemn [chipping],” says Bockino, who manages the Boise Front Climbing Club. “The amount of hours that it takes to hang in a harness and drill all the holds on an 80-foot overhanging route is mind-boggling." Adam Bradley and Mike Bockino at The Amphitheater. Today you’ll see an interesting, perhaps hard-to-reconcile situation where climbers travel to Riggins from Boise and as far north as Washington to enjoy the challenges presented by the steep, physical climbing. If pressed, most of these people are unenthusiastic about the chipped holds. But they still climb here because these routes are consistently fun and challenging in the 5.13 grade. It begs the question: Does the end result of having an accessible climbing area that many people enjoy justify the means? 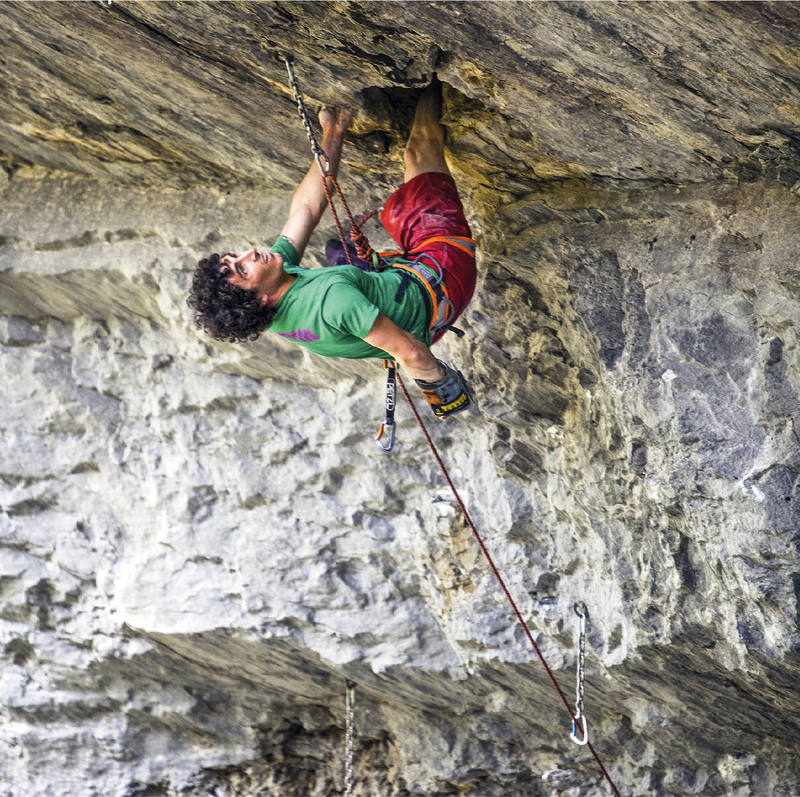 Bockino climbs Tractor Boy (5.13c). Riggins still occasionally draws criticism and isolated boycotting, often by climbers who either aren’t physically able to climb there or are traveling athletes able to frequent prime destinations. But the underlying vibe among the dedicated Riggins locals isn’t centered on tension or ethics. It’s about community, getting strong and sharing a round of PBRs in the afternoon. This article appeared in Rock and Ice issue 209 (April 2013).